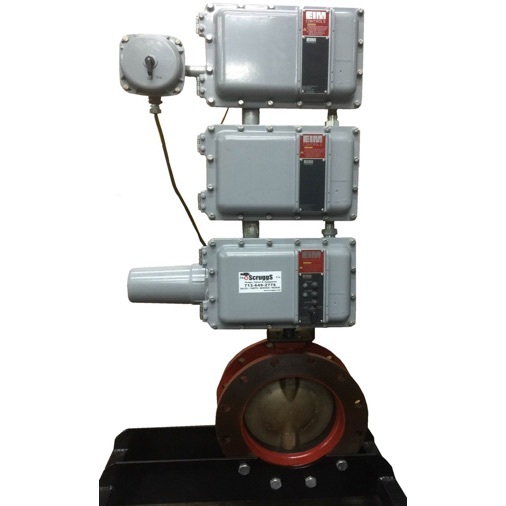 A program able and configurable electronic surge control for butterfly valves. This system has a battery backup that allows the electric EIM actuator to function after power failure. EIM+SURGE GUARD VFD can be programmed and configured with the EIM electric motor operator to control speed/cycle time during an opening or closing cycle to minimize transient surges. In an emergency shutdown, our 120 VAC model can be programed to instantly close at twice the normal speed in a power failure situation.